The new partnership will build on Vivo foundation of existing and unique OOH engagement and initiatives. Vivo, the global smartphone brand, has recently announced partnerships with Laqshya Solutions and Posterscope India, to further strengthen their Out Of Home (OOH) engagement. In partnership with Laqshya and Posterscope India, Vivo will apply its guiding philosophy of 'innovation' to its OOH engagement activities as well. The new partnership will build on Vivo foundation of existing and unique OOH engagement and initiatives. Commenting on the partnership, Jerome Chen, CMO, Vivo India says, "OOH has been an integral part of our marketing strategy right from the beginning of our journey in India. Through OOH media, we have been able to successfully establish and position Vivo as a premium brand in the Indian smartphone market. As we continue to grow stronger in India, we believe this partnership will enable us to reach out to a larger consumer base, in both a national and regional level." 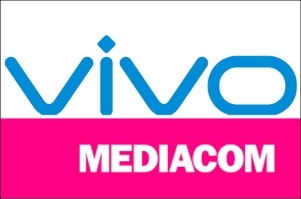 "We are absolutely delighted to be selected for the OOH Media partnership with Vivo. It is a very special landmark for Laqshya. The 55-pages brief given for this pitch was one of the best in recent times, which inspired a challenge before us to excel on every parameter. Our Research and Strategy Teams worked very hard on every detail and extracted the data and findings, related to TG, Congregation Points and Competition etc. At every stage of the pitch, we could sense and see client's seriousness on using the OOH Media as a strategic media in the market. Our approach therefore revolved around selecting and suggesting the plan and actions, which are most apt and work well, basis our 22-years of experience in the industry. 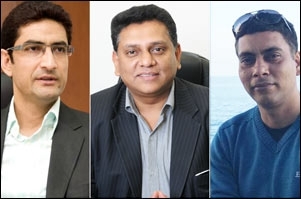 I would like to thank Team Vivo for giving us this opportunity and I'm sure that Team Laqshya will meet/ surpass the expectations from us", says Atul Shrivastava, executive director & CEO on winning of Vivo's prestigious account. 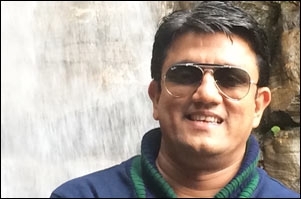 Haresh Nayak, regional director, Posterscope Asia Pacific and Group MD, Posterscope Group South East Asia says, "We're extremely proud to add such an iconic brand like Vivo to our client roster. Posterscope will create one of its unique offering which enables us to put data at the heart of our decision making , drive speed at a National, local and campaign level, and use our resources efficiently, We look forward to collaborating with the team on creating some industry/category firsts and setting some benchmarks in smartphone advertising." This partnership is a significant milestone in Vivo's OOH strategy in India.